Important Note : From v1.5 onwards, LPCScrypt is the recommenced tool for programming the latest versions of CMSIS-DAP and J-Link firmware onto LPC-Link2 or LPCXpresso V2/V3 boards. LPCScrypt is a command-line based, fast flash, EEPROM, OTP and security programming tool for LPC1800 and LPC4300 series microcontrollers. 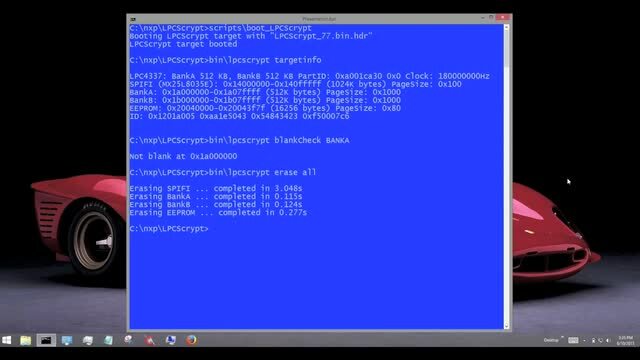 LPCScrypt consists of two parts, a multi-platform command line tool and an MCU firmware monitor. In use, the firmware monitor is downloaded to the target MCU using USB DFU support built into the on-chip ROM (using USB0 or USB1). The firmware creates a virtual serial port (VCOM) over USB to communicate with the host. The LPCScrypt host tool provides a command-line interface to the firmware, giving access to the programmable features of the MCU. It can be invoked with a single command or a script file containing a sequence of commands. 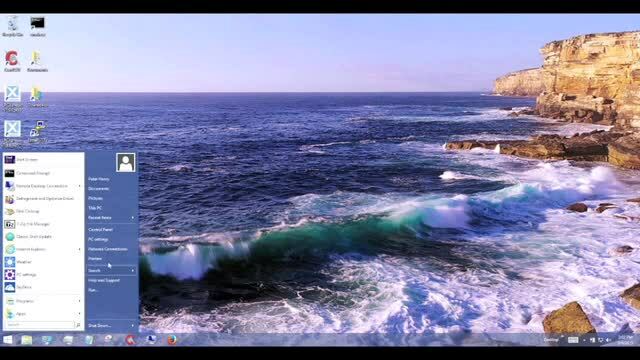 Standard host tools, such as Windows batch files or Linux/Mac shell scripts, can be used with the LPCScrypt host tool to automate multiple operations, such as binary file encryption, programming binary files to flash devices, setting boot options, configuring VID/PID, and finally simulating MCU reset. LPCScrypt is flexible and fast, and is suitable for one off programming and testing or semi-automated production programming. Contact your local NXP® representative to obtain the enhanced version. Optimised for high speed operation - typically 100-300KB/sec, depending upon flash device, host OS and host computer. The primary change in version 2.0 of LPCScrypt impacts the programming of QSPI devices, where we have migrated away from the use of LPC SPIFI library for the identification and low level programming of QSPI flash devices. The change was made to address the problem that only devices already known to LPCScrypt could be correctly identified and programmed. This issue, combined with the sheer volume of devices available has forced a different approach to be taken. Fortunately, modern flash devices typically contain a data block describing their properties, including device size, low level structure and programming details etc. These data blocks and their use are collectively known as Serial Flash Discovery Protocol or SFDP. The standard for these blocks is described by JEDEC JESD216 standard(s). LPCScrypt version 2.0 now provides self configuring support for QSPI devices via their SFDP data.